Happy 100th Birthday to Jerome Bruner! Today we celebrate the well-known influential American cognitive psychologist Jerome Bruner’s 100th birthday by highlighting one of our Special Collections – the curriculum project MACOS or Man A Course of Study from the late 1960s. In 1964, Bruner took a leave of absence from his post at Harvard University to work on the MACOS project at Educational Services Incorporated (ESI), now Educational Development Center (EDC). The course materials based on the theories Bruner expounded in The Process of Education were for primary-school level and included films and images of the Netsilik Eskimo. What is human about human beings? At its peak in the early 1970s, the MACOS curriculum, which took a year out of the normal curriculum, was taught in 47 states in elementary and middle schools in the U.S. and reached approximately 400,000 students. It was also taught in some schools in the U.K. and other parts of the world. The programme used film in an innovative way and won several awards, including the American Educational Publishers Institute award, an American Film Festival award, two CINE Golden Eagle awards, and an Emmy Award (1971). It was funded by the National Science Foundation and the Ford Foundation (see EDC for further information). 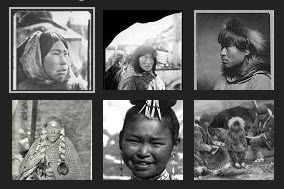 The course used a socio-anthropological approach to collate materials (film and images) about the Netsilik Inuits of Pelly Bay (now the Kugaaruk region of the Arctic coast of Canada, west of Hudson Bay) and their everyday life as well as the natural life surrounding them. The purpose was to teach children about a different race and allow them to equate their understanding of that race with their own – in the hope of eradicating racism and ethnocentricity. Bruner was convinced that even young children are able to engage with any material as long as it is presented in an appropriate and motivating way. He developed a holistic model of learning and proposed a spiral curriculum. To him, learning skills was more important than learning facts – including the skills of questioning and debating. The MACOS project was both highly acclaimed and severely criticised. The IOE LibGuide provides information on the MACOS project including the holdings of the MACOS material in the Newsam Library at the UCL Institute of Education. Jerome Bruner served as advisor to US Army intelligence and US Presidents and continues researching and teaching psychology at the age of 99. He turns 100 on 1st October 2015. He has taught at Harvard, Oxford, and is currently a senior research fellow at New York University. This entry was posted in Library and Archives, Special Collections and tagged Birthday, Bruner, MACOS, special collections. Bookmark the permalink. 1 Response to Happy 100th Birthday to Jerome Bruner!